Surround yourself in elegant riverside luxury. 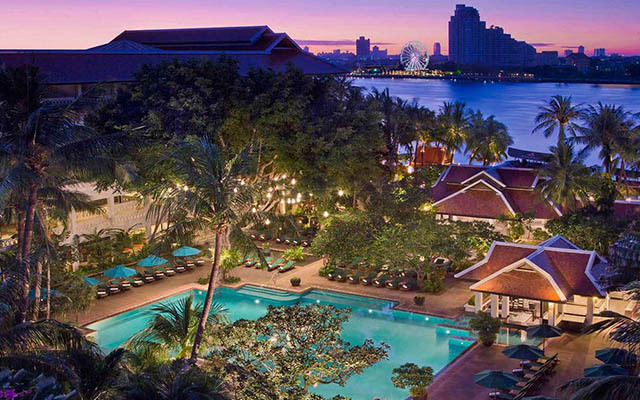 Revel in the beating heart of Asia from a graceful resort on the west bank of the Chao Phraya River. Thai-inspired rooms provide urban serenity with views of the twinkling city skyline. 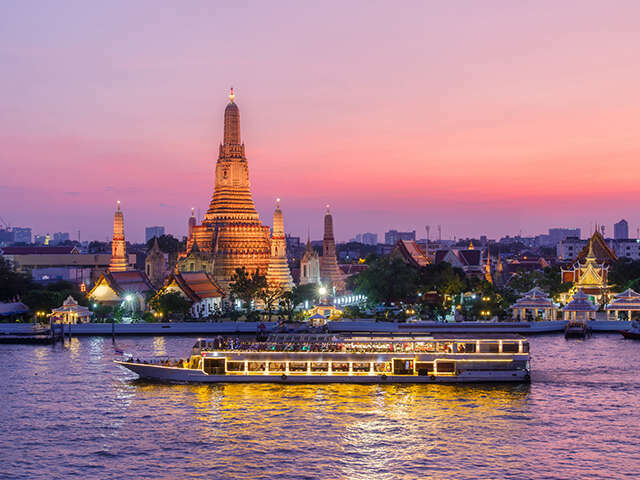 A visit to Bangkok is not complete without a tour of its temples, and this excursion takes in three of the most impressive in the city: Wat Traimit, the Temple of the Golden Buddha, Wat Po, home to a colossal reclining Buddha and a traditional massage school. The temple garden contains a Bodhi tree grown from a cutting of an original tree in India under which the Lord Buddha sat while awaiting enlightenment. Next stop is the “Chedi of the Kings” Wat Benjamaborpit. 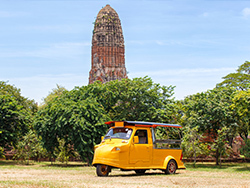 Most visitors to Thailand are familiar with the Thai tuk-tuk found in Bangkok or Chiang Mai. But travel to other regions of Thailand and you’ll see that not every tuk-tuk adheres to this standard design. The classic ‘tuk-tuk hua kop‘ (‘tuk-tuk with a frog’s head’) has been turning heads for decades. Imported into Thailand in the late 1950s, these quirky vehicles were originally used in provinces throughout Thailand before being replaced with today’s tuk-tuks. However, these vintage vehicles still play the roads in some provinces, best experienced in Ayutthaya. 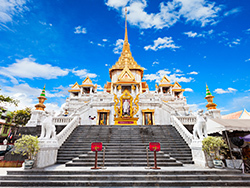 Extend your Thailand experience with add-on packages from Bangkok. 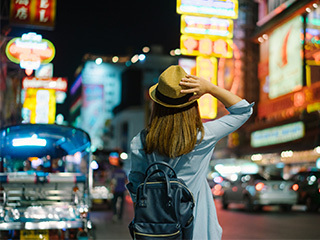 Enhance your Bangkok experience with these add-on activities. Located within the landscape of the Chao Phraya River, on the bank of the water arteries that run through the old town of Bangkok. We welcome you to the simplicity of Thai living by the river and the generous smiles of Thai people. And yes, the pleasures of Thai cooking. Learn how to prepare and cook many favorite Thai dishes from our extensive list of recipes. The instructors will then present a cooking demonstration and provide tasting samples. 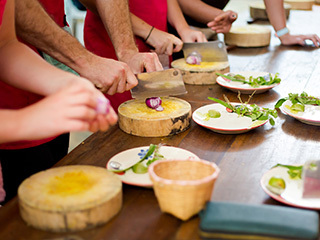 At your personal cooking station, the instructors will guide you through the recipe step-by-step as you cook the dish. Price is per person based on double occupancy from select Canadian cities. Package is based on minimum two people travelling. Prices and schedules are subject to change without prior notice. Tax and fuel surcharges are included but subject to change without prior notice. Deviation / amendment fee and restrictions will be apply. Please contact UNIGLOBE Travel for details. For responsibility, booking terms and conditions, please ask your booking agent for a copy of “Silk Holidays – General Terms and & Conditions”.